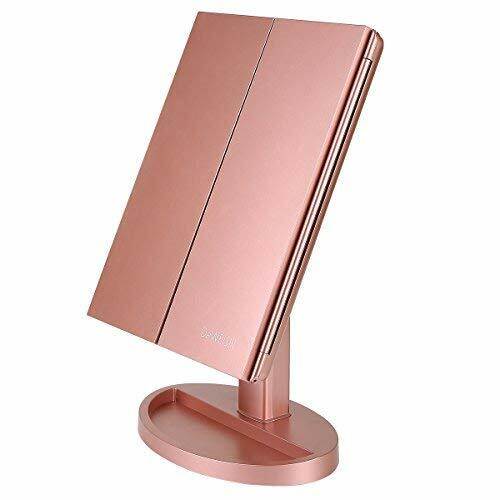 PREMIUM QUALITY MIRRORS: Starlyworld lighted makeup mirrors are coated with quality coating that protects the mirror surface, and the high quality large mirrors ensure the best experience. LIGHTS UP YOUR FACE with BRIGHTNESS ADJUSTABLE LED: 21pcs of LED lights are built in with a touch sensor light adjustment button to illuminate your face at an optimal brightness. You can make the light brighter to clearly see your makeup or make it dimmer not to disturb others in public environment. EASY TO SEE, COMPACT TO STORE: The mirror is 180°swivel rotatable and can be fixed at any position as needed. 3 foldable vanity mirror panels are provided for wide angle viewing. Once used, the panels can be folded so that it doesn't take up much space on tabletops. Compact enough size to stand on small desks, to store in drawer, shelf, dresser, cabinet, It is also portable enough to carry with you during your travel. DOUBLE POWER SUPPLY: This Led mirror can either be operated by 4 pcs AAA batteries (not included) or USB cable (USB wire included). Please note the mirror can not store power itself. 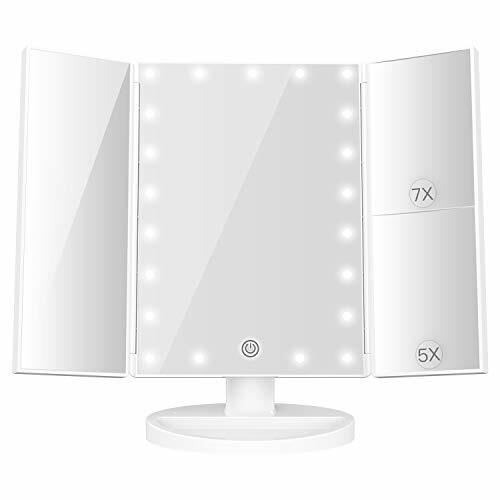 ❤ SUPER-BRIGHT MAKEUP MIRROR: This makeup mirror is built in 21pcs led lights, touch the sensor of cosmetic mirror, all of LED lights on the vanity mirror panel will light. The brightness is full enough to do makeup in the dark or poorly lit place. You can adjust the brightness as your requirement. ❤ 2X/3X/10X MAGNIFYING MAKEUP MIRROR: These magnifying vanity mirrors can meet all of your daily facial care needs like grooming brows, applying eyeliner, tweezing shaving etc., you can do a perfect makeup by this cosmetic mirror, every details on your face including the front and side can be seen clearly in this makeup mirror. 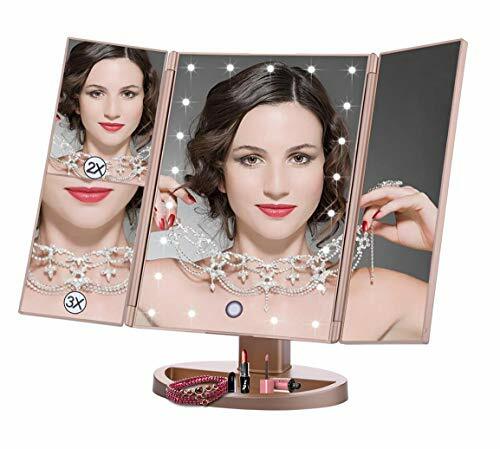 ❤ TRI-FOLD AND 180° ROTATION DESIGN VANITY MIRROR: The Tri-fold design of this cosmetic mirror can protect the mirror from dust and scratch or broken, also, you can carry this makeup mirror easily after folding the vanity mirror and removing the detachable base. The lighted makeup mirror can be rotated freely and fixed at any angle which you feel is the most comfortable. 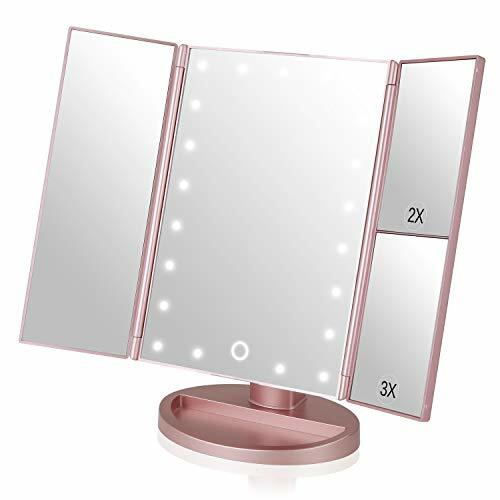 ❤ MOBILE LED LIGHTED MAKEUP MIRROR: This makeup mirror can be powered either 4X AAA batteries or USB cable, powered by battery, you can take your vanity mirror and finish a fine makeup anytime and anywhere! Use USB cable, you can connect your cosmetic mirror with computer, power bank and socket with USB. 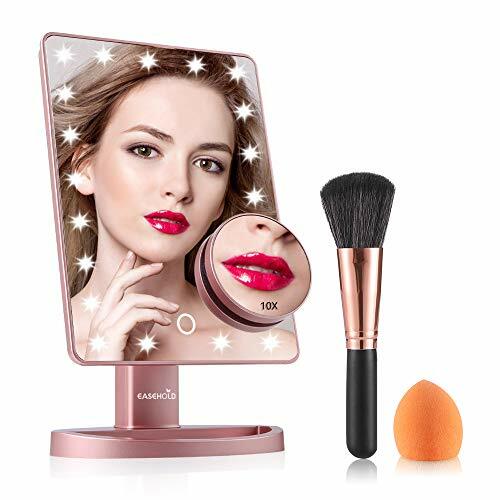 ❤ QUALITY AND WARRANTY: This makeup mirror surface is designed with premium quality coating and the shell of vanity mirror is made of premium plastic with baking varnish, It is practical and elegant, can be used as a gift for friends and relatives. We offer a lifetime replacement guarantee. Any issues with your cosmetic mirror simply contact us for replacement, free for life! ✔️ 21 PIECES LED LIGHTS: The 21pcs built-in Led lights give great assistance for using in dark or poorly lit areas. LED lights on/off controlled by the touch sensor switch on the mirror screen. ✔️ TRIFOLD DESIGN: The trifold design can protect the mirror inside more efficiently and save more space. Three pieces of mirrors provide wider view and optional visual angle. And you are allowed to adjust the mirror to any angle to meet your demands with the 180° rotatable function. 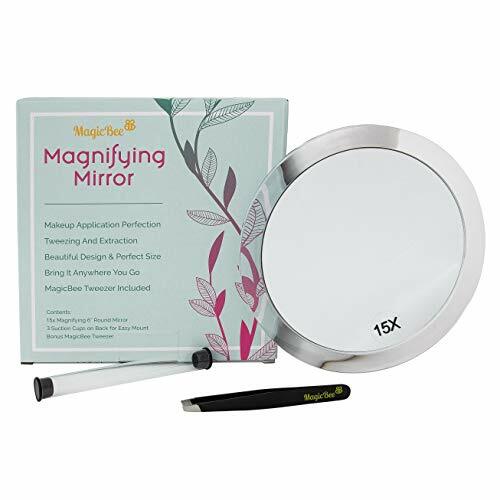 ✔️ THREE MAGNIFICATIONS: 3X/2X/1X magnified beauty mirror all in one vanity mirror, great for applying eyeliner, mascara, grooming brows, and tweezing. ✔️DOUBLE POWER SUPPLY: This LED mirror powered by USB charging or 4pcs AAA battery powered(battery not included, usb wire included).battery power won't be consumed if the mirror is in the USB charging mode. ✔️NO RISK GUARANTEE: If you are not 100% completely satisfied with your purchase,simply let us know and you will be offered a FULL refund or replacement. Buy with confidence! 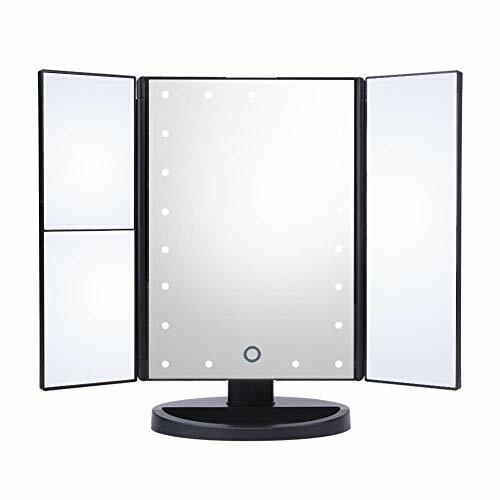 3Panel Vanity Mirror with Special 2X/3X side magnifier mirrors : provide a wide-angle and precise viewing for you to see clearly your facial features and make a more perfect makeup with each detail taken care of. 21pcs Led Lights: The 21pcs built-in Led lights give great assistance for using in dark or poorly lit areas. LED lights on/off controlled by the touch sensor switch on the mirror screen. Tri-Fold Design :Easy for take away and daily maintenance, can open or fold it like a book when not using to protect it away from the dust or other scratches. Special crafted Champagne Gold Color, quite elegant and sleek appearance. Stable Stand &180°Free Rotation: This mirror stands by itself on your countertop and can be freely adjusted and fixed ensuring a perfect and comfortable viewing angle. And the Base Recess can hold jewelry or cosmetics like watch, earrings, bracelets, etc. Perfect gift for ladies and girls. Made from premium flame resistant ABS material and glass mirror,perfect looking and resistance for scratch. ONE YEAR QUALITY WARRANTY for all DeWEISN makeup mirror with light. Pls send email to us for any quality issue. Made from premium ABS material and mirror glass,perfect looking and resistance for scratch. PREMIUM QUALITY VEGAN LEATHER - Say goodbye to flimsy plastic mirrors forever, and say hello to the 2019 newly designed tabletop vanity travel mirror! Chic and sleek, with a strong and stable build. Featuring smooth, top-quality vegan leather with a subtle pebbled texture that's easy to clean. 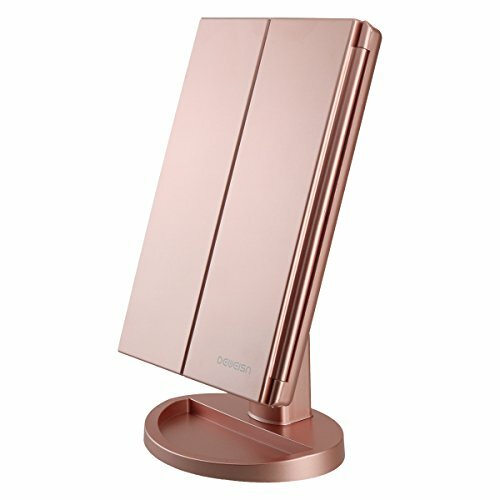 ELEGANT, MODERN, MINIMALIST DESIGN - The mirror's contemporary style makes it the perfect addition to any desk space, whether it's at home, at the office, or on your travels. Designed with beautifully beveled edges that will add a touch of modern flair and elegance to your life. LARGE, BUT PORTABLE TRAVEL SIZE - Measuring 9.0 in x 6.5 in, the mirror is large enough to do your hair and makeup, but small enough to take around for touch-ups on the go. With its slim, lightweight design, it will easily fit into your purse, backpack, locker, luggage, and more. Folds flat into the size of an iPad for easy transport and storage. NO DISTORTION WITH CUSHIONED PROTECTION - Finally, a glass mirror with absolutely NO face distortion! That means you're getting a 100% true reflection to ensure a flawless application of your makeup. Also constructed within a soft, protective cushion to prevent shattering. PERFECT GIFT FOR ALL BEAUTY JUNKIES - A gift that every beauty lover will adore! Perfect for bridesmaids, girlfriends, college students, makeup artists, hair stylists, sisters, daughters, mothers, teenagers, co-workers, and any beauty enthusiast. Great makeup gift and beauty gift for bachelorettes, bridal showers, birthdays, holidays, and more. Natural daylight LEDs that will last for 50,000 hours and provides the natural light you will encounter throughout a day. Suitable for all ages. LED light mirror, super suction, the base can be attached to any smooth surface, whether wet or dry. Ideal for makeup applications and precise tweezing. 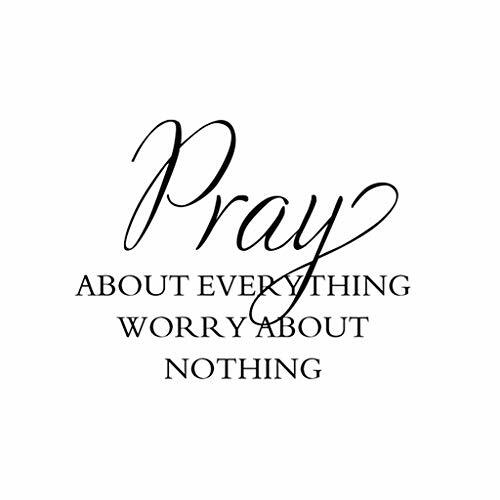 Great for those with poor eyesight or want to focus in on every pore without distortions. Very flexible rotating swivel gooseneck that can be easily bend to get a closer distance with the mirror, adjustable height to get the best degree viewing angles. Cordless, portable, and operated with 3 AAA Batteries (not included), when folded, takes up less than 1/2 square foot of space, which makes it a perfect travel mirror too. PREMIUM ARTIFICIAL LEATHER: The PU cover design of pocket mirror looks more fashionable and exquisite,and you also can obtain the better hand feeling. 1X & 3X MAGNIFICATION: This hand mirror has two mirrors meet all you need for cosmetic usage,regular mirror is ideal to observe the entire face, while the 3X magnified mirror works great for mascara, tweezing and plucking, flossing etc. FULLY ADJUSTABLE STAND: Opens to a full 180 degrees to lay flat or can be propped up at any angle. Small compact mirror for women. 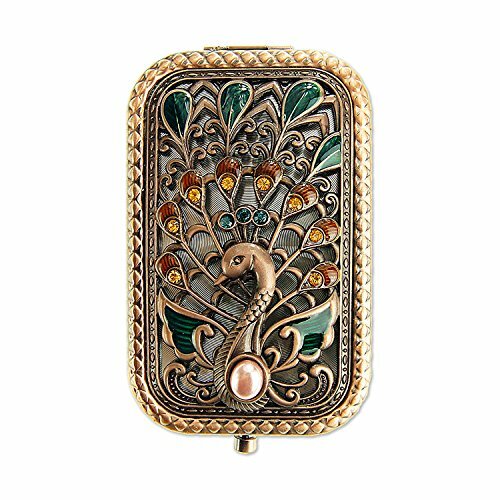 SLIM DESIGN: 2.76"x2.76"x0.39", the small size mirror fit your purse or handbag, easy to carry out for wherever you go. GREAT GIFT IDEA: Hight quality and charming outlook make this mirror to be the first choice for gift giving,nice present for teens, girls, ladies,sisters ,women for birthday or holidays. 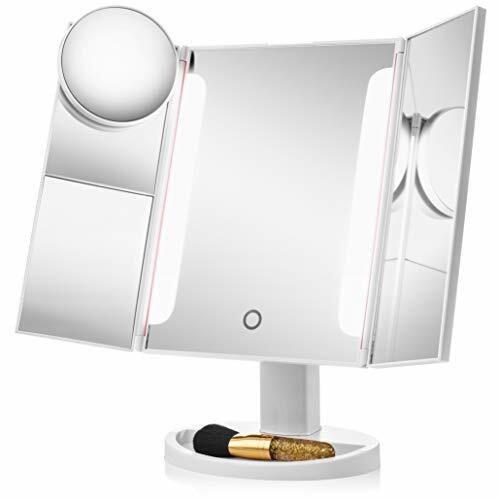 ★ Adjustable Brightness - Our makeup mirror is built-in 22 pieces adjustable led beads. You can long press to adjust the brightness according to your own need, which will help you finish your makeup even in dark environment. 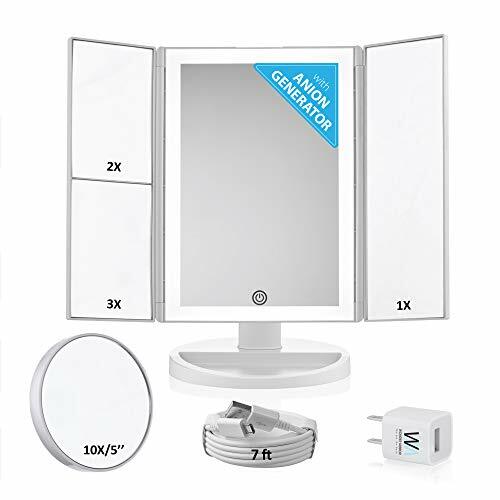 ★ 3X/2X/1X Magnification - This lighted mirror has 3 panels of magnification with a wide-angle viewing for you to see your facial features clearly. Effectively help you focus on the details and create an amazing makeup look. 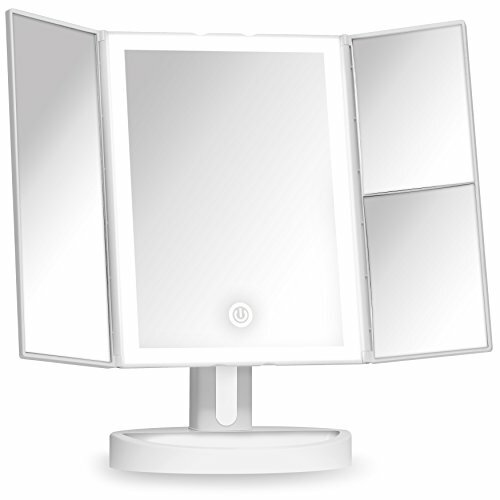 ★ 180° Rotation & Trifold - This trifold mirror can be freely adjusted within 180 degree. The trifold design can also protect the mirror from dust, and you won't need to wipe the mirror frequently. ★ Dual Power Supply - You can power the led mirror through USB charging cable directly. 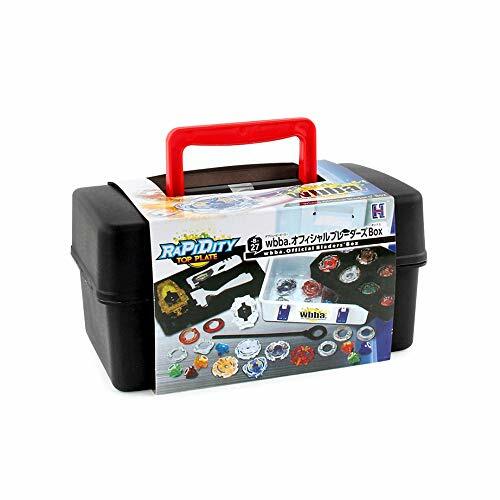 Or you can put in four AAA batteries (NOT include), which you have to buy separately. ★ One Year Warranty - We provide one year warranty. You can perchanse our products without any concern. If you have any question, please contact our customer service team and we will reply you asap. A Better Design - The oval shape is able to reflect the entire face and neck at the same time, making full makeup application much easier than with traditional circle mirrors. Natural White LED Ring Light -Clear glass screen and 26 LEDs provide natural illumination in any environment and eliminate annoying shadows from surrounding light sources. Super Portable - The base detaches from the mirror face for easy packing while traveling and the internal battery allows for use of the LED daylight for up to 6 hours. Touch Switch - Cycle through 3 brightness levels by simply touching the touch sensor panel on the mirror face. Longer service life than traditional buttons. After-Sale Guarantee - Come with 30-day full refund, 12-month warranty a friendly customer service. 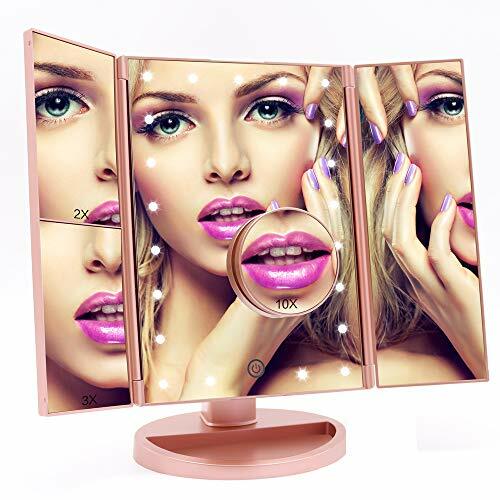 Tri-Fold Design - 3 panels mirror with a wide angle viewing provide a perfect panoramic view of your face, 2X/3X magnification make a more perfect makeup with each detail taken care of. This trifold mirror is easy for take away and daily maintenance. Bright Energy - Built in 21pcs bright, soft and adjustable LED lights for you to do your makeup in the dark or poorly lit areas. 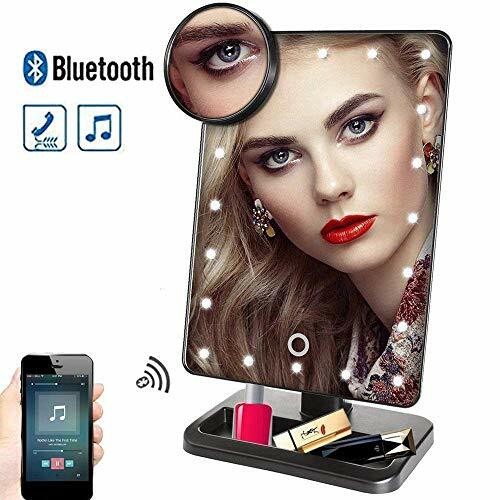 Smart Touch Button - This lighted makeup mirror is controlled by touch screen switch on the mirror surface, long press to dimming or brighten the lights. Short press the sensor switch for turning ON/OFF. Press the back switch button to turn ON/OFF the power. Double Power Supply - Powered by a USB cable (included) or 4pcs AAA batteries (not included). Battery power won't be consumed if the mirror is in the USB charging mode. 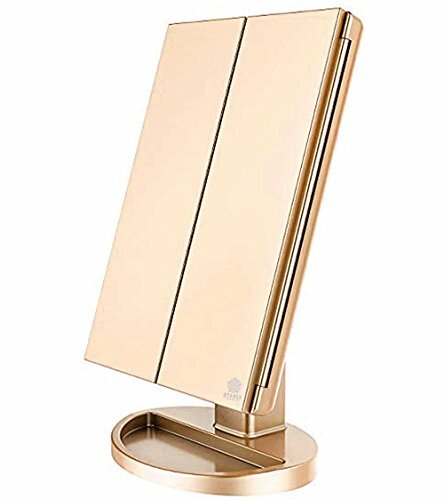 180° Rotation - The lighted vanity mirror could stands stably by itself on your countertop and can be 180 degree freely rotating, ensuring a perfect and comfortable viewing angle for makeup. The base recess can hold jewelry and so on. The perfect birthday gifts for women. 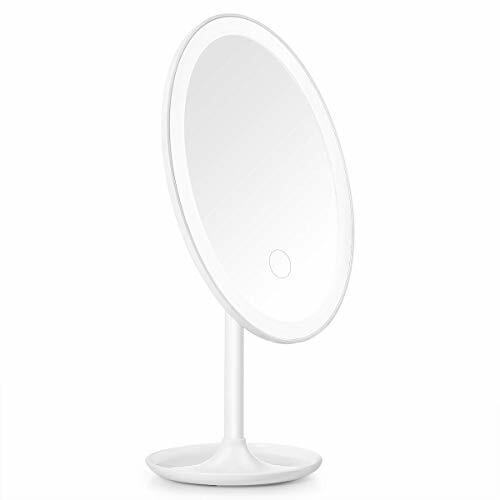 Natural LED Daylight Clarity - Fitted with 36 ultra-bright LED lights, these lighted makeup mirrors provide crystal-clear visual clarity for applying cosmetics or jewelry. 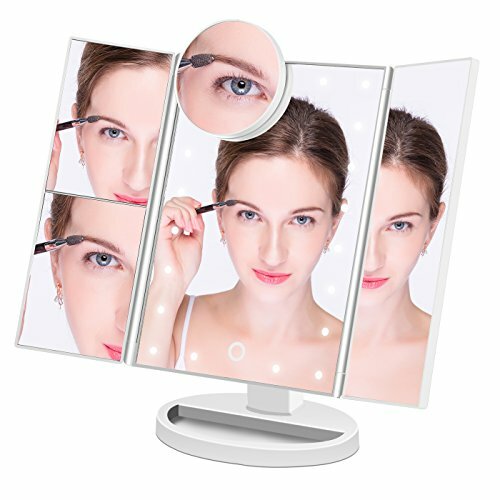 Convenient Tri-Fold Design - The triple panel makeup vanity mirror lets you view your face from every angle to help blend and contour without shadows or reflection. Touch-Sensitive Dimmer - Providing true-to-life colors these lit makeup mirrors charge via batteries or micro USB cable and dim and adjust lighting with a touch. Multiple Magnification Options - The trifold mirrors offer various magnification levels for eyebrows, eyeliner, or anti-aging skincare, including 1x, 2x, 3x, and 10x. Included 10x Magnifying Mirror and Makeup Brush - Each Glamazy Beauty makeup mirror also includes a compact, high-definition spot mirror with advanced detail and skin clarification, as well as a soft makeup brush for applying powder foundations. 1X/5X Magnification - Large size 13.7'' H x 9'' Round vanity mirror, 1x for regular makeup, superior detachable 5x magnified makeup mirror helps you to see every detail clearly and make a more perfect makeup for precise facial such as mascara, eyeliner, eyebrow and lipstick. Bluetooth Connection - Stream audio wirelessly via bluetooth from your mobile device, so you can enjoy your favorite music. The hands-free bluetooth speakerphone with built-in mic gives you even more functionality as you can talk to your friends while you prepare yourself for your evening ahead. 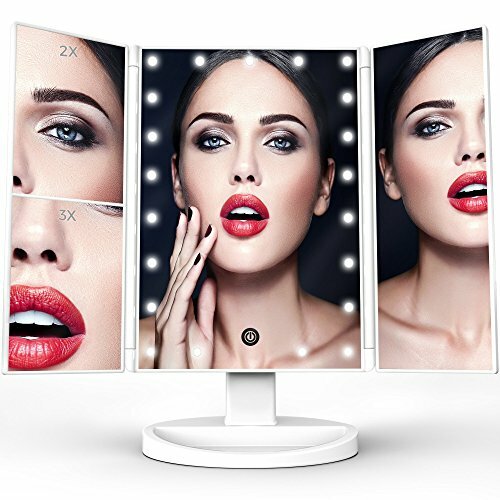 3-Color LED Modes and Dimmable - The makeup mirror comes with Cold/Natural/Warm LED lights modes, touch sensor switch to adjust the brightness. You can always know when your makeup is color-correct and flawless with the best lights. It is a perfect birthday, anniversary gift for ladies and girls. Extra Bed Lamp - The mirror can be used as a desk lamp while rotating to 90 degree, Energy-saving perfect illuminated LED bulbs make it last long. 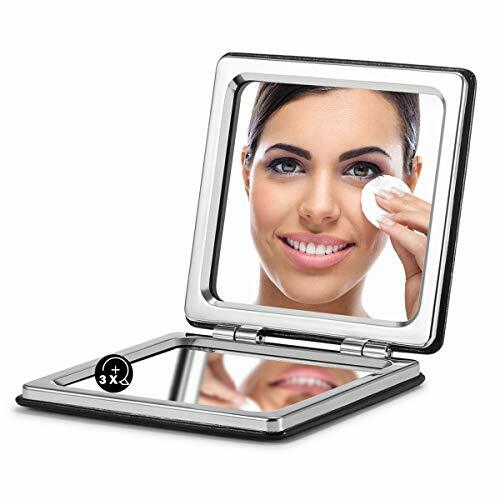 Babyltrl makeup mirror comes with 100% Satisfaction Guarantee. 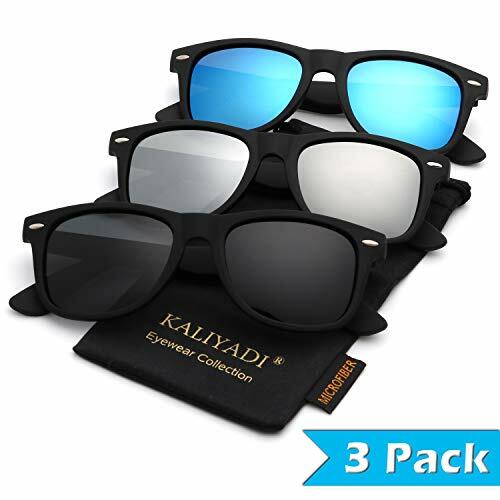 ★ PROTECT YOUR EYES WITH STYLE ▶ We created our polarized sunglasses to PROTECT your eyes while you are out under the harmful sun UV rays and to make you look IRRESISTIBLE at the same time, because we know that Health and Style are both important. Whether you are driving, walking or working, whether you are a man or a woman, prepare yourself for all the prime ATTENTION you can get and the envy of all of those who can't figure out YOUR LITTLE SECRET: Your KALIYADI Sunglasses. 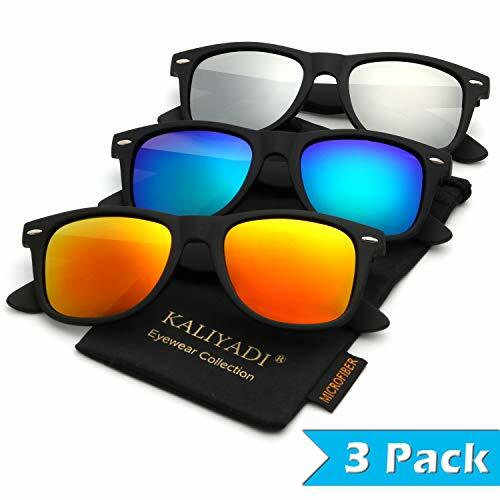 ★ 30 DAYS MONEY BACK GUARANTEE ▶ All KALIYADI customers enjoy 30 Days Money Back Guarantee for our Polarized Sunglasses. 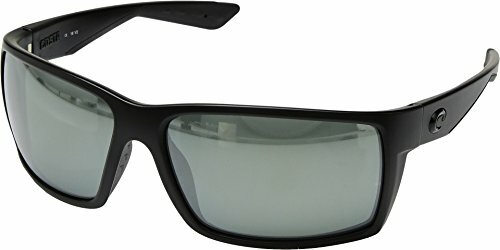 The integrity of every box and the quality of the lenses are double checked by third-party companies. And that goes with a lifetime support! All you need to do is just to send us a message. It is RISK FREE! So why not give it a try? ★ BE MORE RELAXED EVERY DAY ▶ Those sunglasses come with top rated POLARIZED LENSES that we tested over time. Polarization reduces glare reflected by mirrors, shiny or polished materials or any other kind of sun rays reflection. You will feel your eyes permanently relaxed because you will not squint anymore! Whether you are driving to work, walking in the park or you are having a nice sunbath on the beach, you will be LESS TIRED at the end of the day because your eyes are MORE RELAXED. ★ SEE THE WORLD IN ITS TRUE COLORS ▶ The HD polarized lenses of our sun glasses offer TRUE COLOR PERCEPTION because of the neutral color coating and CLEAR VISION by eliminating reflected and scattered light. Therefore you will be able to enjoy the sunglasses during all your outdoor activities, driving, fishing or any water sport as well. JUST IMAGINE HOW GOOD YOU WILL FEEL not having to worry about your eyes health while being able to enjoy and admire the world in every beautiful detail. 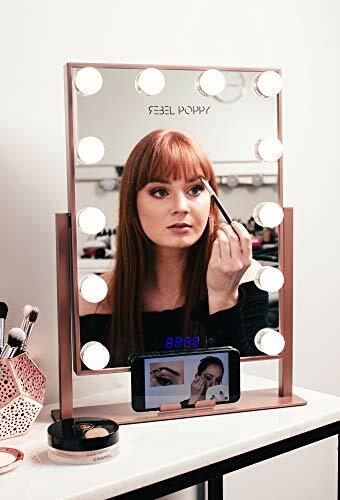 &#x1F484; PULL OFF THE HAUTEST MAKEUP TUTORIALS with your new light up vanity mirror from Rebel Poppy. 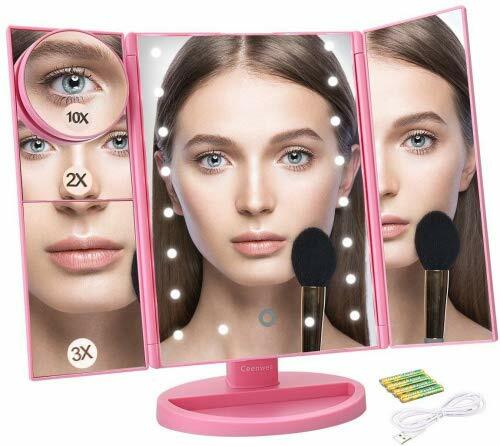 This light up makeup mirror is designed with glam in mind with an integrated phone cradle and adjustable touch control lights allowing you to achieve fabulous and flawless every. single. time. 22 DIMMABLE LED LIGHTS: The 22 built-in led bulb serve variety brightness as you need. Turn on the switch and you can dim the light by long press the sensor switch on mirror. 3 MAGNIFICATION MODES: 3X/2X/1X magnified mirror all in one cosmetic mirror, great for applying eyeliner, mascara, grooming brows, and tweezing. DUAL POWER SUPPLY: The LED cosmetic mirror can be both powered by 4 AAA battery and usb cable (Package include the usb cable but battery). Convenient for many kinds of occasions. 180 DEGREE ROTATION: The whole plate can be adjusted form 0 to 180 degree allowing you to any viewing angle to meet your preference. The base tank can store jewelry. CE, FCC AND PSE CERTIFIED: The makeup mirror is certified by CE, FCC and PSE ensuring a high quality for usage. The sturdy ABS and glass material make it difficult to be broken. 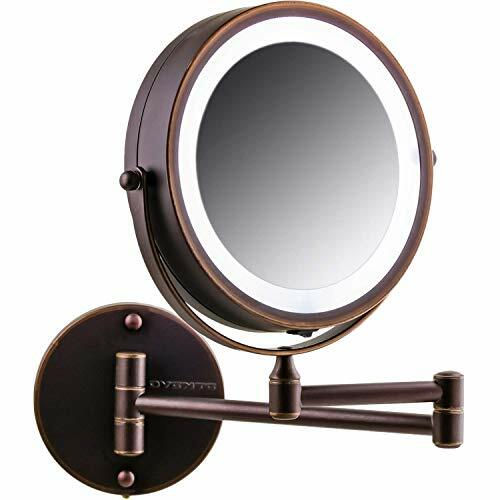 Vanity Mirror with 10X magnification. Ideal for very detailed jobs such as eyebrow tweezing and contact lens placement. Magnification can also help one closely examine pores to help protect against blackheads. Circular soft natural lights. Natural white light helps reflect true colors to highlight every detail of your hair and makeup. 4 AAA batteries powered. Take this battery-powered vanity mirror with you while traveling and never worry again about your hotel not having proper vanity mirrors. Not just a vanity makeup mirror. 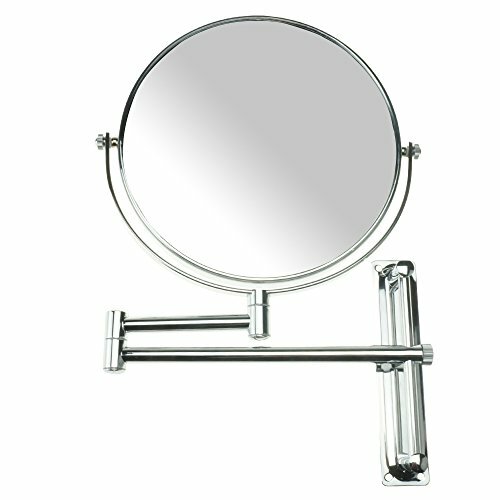 With its polished chrome finish and classic round design, this double-sided tabletop vanity mirror reflects style, taste, and looks. 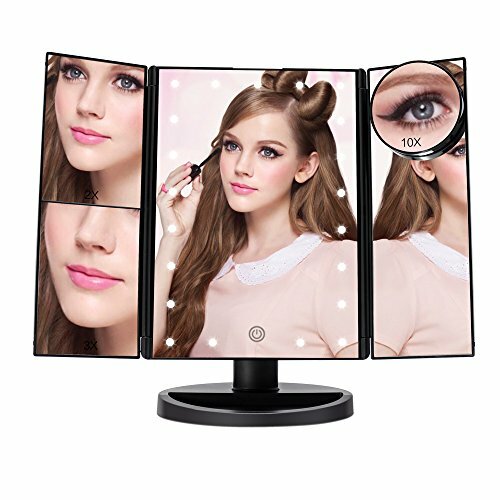 Tri-Fold Design - 3 panels mirror with a wide angle viewing provide a perfect panoramic view of your face, 2X/3X/10X magnification make a more perfect makeup with each detail taken care of. This trifold mirror is easy for take away and daily maintenance. 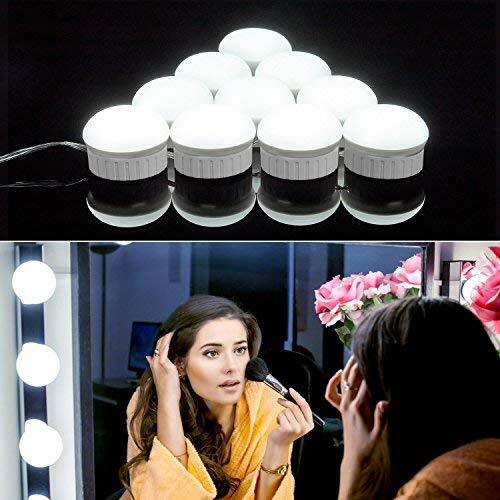 Bright Energy - Built in 21pcs bright, soft and adjustable LED lights for you to do your makeup in the dark or poorly lit areas. Allow you to have a clear view of what you do, helping you achieve a flawless professional makeup. 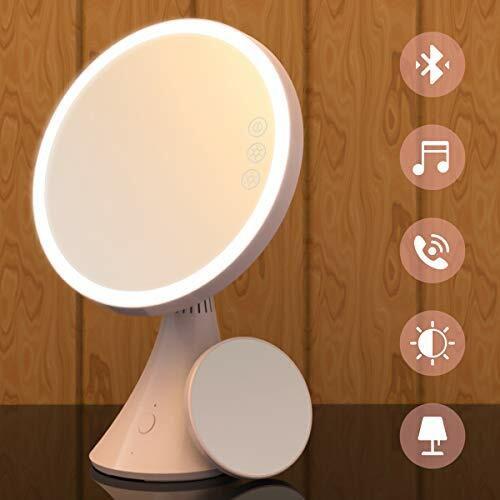 Smart Touch Button - This lighted makeup mirror is controlled by touch screen switch on the mirror surface, long press to dimming or brighten the lights. Short press the sensor switch for turning ON/OFF. 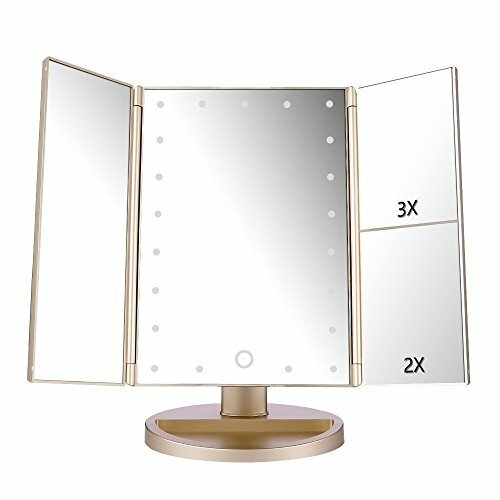 180° Rotation & Storage Tray - The lighted vanity mirror could stands stably by itself on your countertop and can be 180 degree freely rotating, ensuring a perfect and comfortable viewing angle for makeup. The base recess can hold jewelry and accessories. Perfect gift for ladies and girls. [ save 70% with code RC8ZA7R9 ]--Built in 8 pcs LED lights,You can make up you in poorly light, without disturbing others. 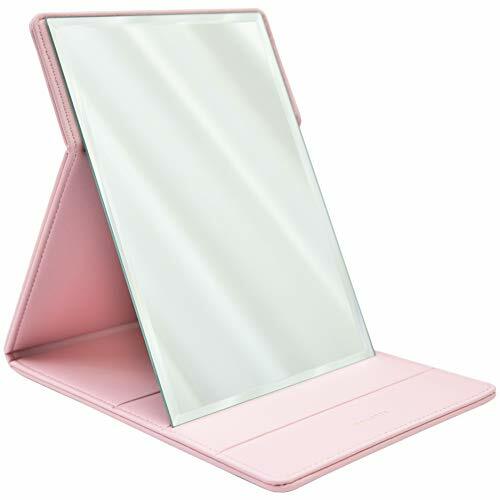 Portable Three-sided Foldable Mirror Makeup Mirrors, energy saving and environmental protection. Pls noted the mirror can't store power by itself.Power supply mode by 3AAA batteries( battery not included, usb wire included). 【10 High Quality LED Bulbs and 5-Level Adjustable Brightness】Guckmall vanity mirror lights has 10 high quality Hollywood style dimmable LED light bulbs, 5-Level brightness dimming. 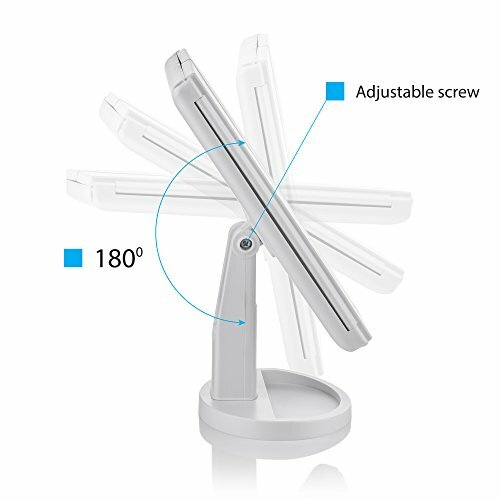 Adjustable brightness 7000K Daylight White, you can adjust whatever light you require for different brightness. The soft sunlight will make your eyes comfortable when applying makeup. 【Muti-function Mirror Lights】 It can be charged with phone power adapter, laptop or power bank. So it is very convenient for you to put it every where you like. For example: dinning table to have a romantic dinner, desk to reading. What's more, you can also take it outside for camping! You will have great fun with it! 【Memory Function】Turn on/off lights and adjust brightness are available with the smart touch dimmer,with memory function that means the light will always stay on your desired level of brightness when last time you switched off.And even more energy saving. 【Suitable for Most Mirrors】15.2ft lights kit in full length(from 1 bulb to 10 bulb).Perfectly fits most mirrors and the extra wires can be wrapped and hidden to keep your mirror neat. 【Easily to Install】 Just follow the instruction(included) in a few minutes without any other tools. Guckmall provide 60-day satisfaction guarantee. 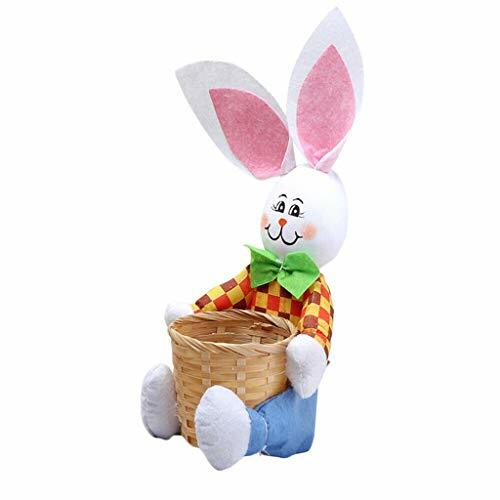 Anything problem please feel free to contact us by email(email address: Su206Su56style@outlook.com) we will make refund or send you replacement. ★【No Batteries Required】-- Different from others, Our electric makeup mirror can store STORE POWER, Recharge your battery by plugging in the device with USB port in micro-USB charging cable. Easy to carry and protect the environment. 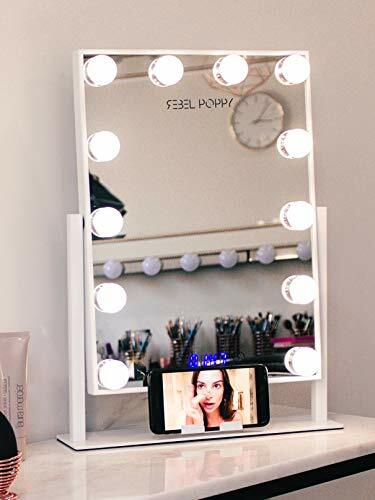 LED Lighted Vanity Mirror： With built-in 21pcs adjustable LEDs, this vanity mirror provides a exact reflection of your face and helps with a most perfect application of makeup in the dark or poorly lit areas. 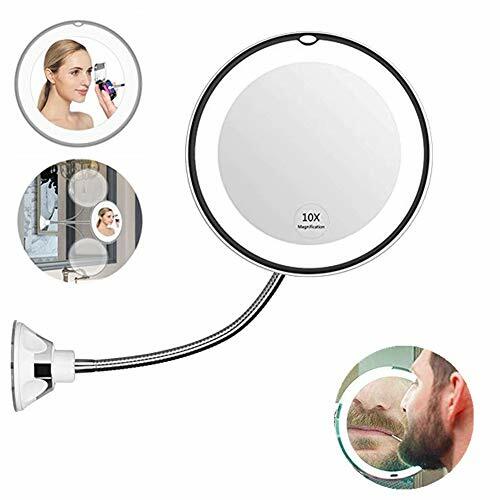 Separate 10x mini Magnifying Mirror: This removable mini magnifying mirror is designed for providing additional magnification for some details or places needed to be taken care of. It can be sticked or removed easily from the large one. Bonus Beauty Brush and Sponge Set: We get know of every lady who loves makeup may need in their daily beauty work and includes this Foundation Brush and Sponge Set Quite handy match for those starters. 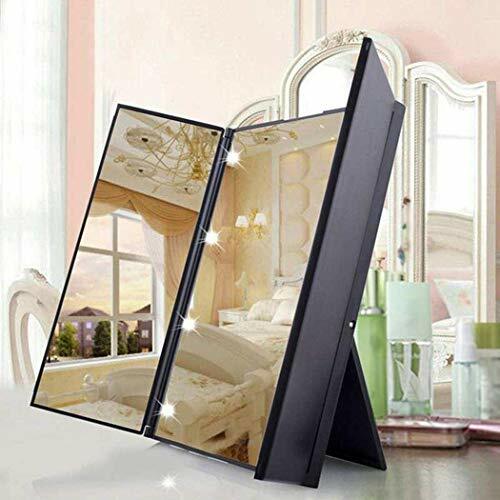 Touch Screen &Battery Powered: This mirror is operated by a touch sensor on the middle and powered by 4pcs AA batteries (Batteries not included) which makes it quite portable, no wiring issues. Turn off the power switch when you are not using. 180 Degree Adjustable Angle: This mirror has 180° free rotation for horizontal or vertical orientation. You can adjust the mirror to fit any position and meet various needs. Base Recess is designed for the storage of some small gadgets. ★ Natural Daylight LEDs ★ 2x brighter and softer illumination than similar models. 34 built-in dimmable LEDs closely mimic soft, natural sunlight providing you with true-to-life color-correct details. ★ Wide Viewing Area ★ 3-panel ultra-reflective mirrors provide multiple viewing angles, so you always look (and feel) your very best! 180° rotation, fully adjustable to any desired position. ★ Exceptional Clarity ★ Our premium quality, distortion-free glass is ideal for creating flawless makeup looks and hair styles while the 5x and 10x magnifications are perfect for close-up and detailed work. 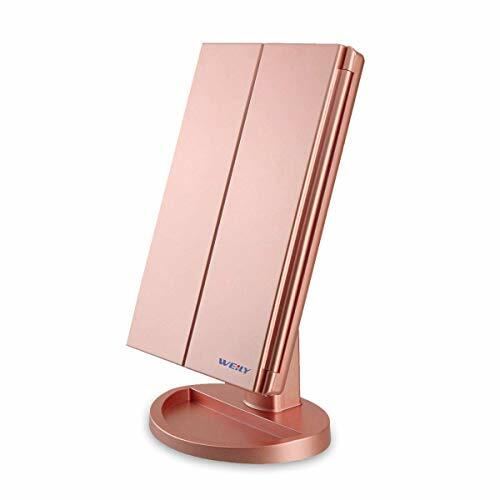 ★ Travel Ready ★ Mirror stands 11.5" tall and 13" wide, mounted to a detachable cosmetic organizer base for storage of your makeup, jewelry, and more! Three panel mirror easily folds for ultimate portability. ★ Dual Power ★ Energy-saving smart LED lights turns off automatically after 30 minutes; powered by an included USB cable or 4 AA batteries. 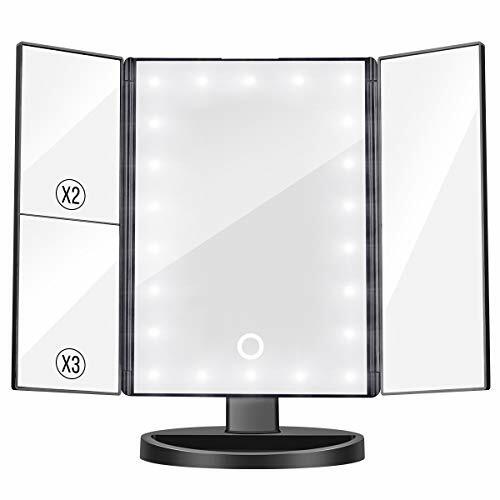 Premium Quality LED Light: MayBeau Makeup mirror is designed with natural and soft lights. The high definition with a color temp of 9000K to see how exactly your makeup will look in various lighting situations like daytime, evening, home and office environments, bright but not dazzling, protecting your eyes. Magnification Mirror: There are 3 panels with 7x/5x/1x magnifying for you to see clearly your facial features and tiniest details. This mirror is specially suitable for eye makeup, such as eyeliner, eyebrows. It helps make-up to perfection with each detail taken care of. Tri-Fold Design: Easy for take away and daily maintenance, can open or fold it like a book when not using to protect it away from the dust or other scratches. Certified by FCC, CE and RoHs, high-quality coatings and finely polished finish for excellent use experience. 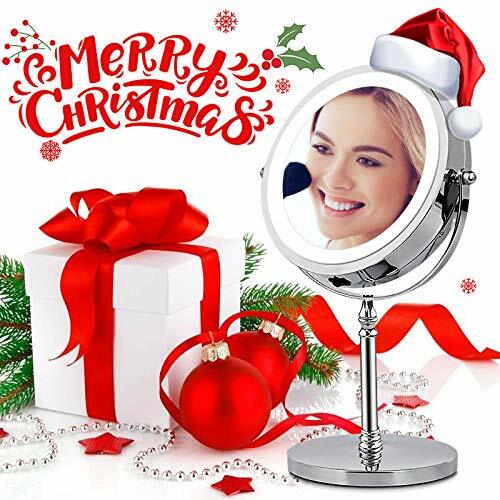 Double Power Supply and Ideal Gift: Our LED lighted makeup mirror is powered by 4 AAA batteries (not included) or USB cable. The mirror itself cannot store power. It's an ideal gift for mother, sister, wife, girlfriend, makeup artist, etc. on Valentine's Day, Mother's Day, Christmas, anniversaries or other special occasions. 100% No Risk Purchase. We stand behind our quality. All mirrors come with lifetime warranty for refund or replacement. 180° Degree Free Rotation: This vanity mirror stands on your countertop and can be freely adjusted. This is fixed at a perfect and comfortable viewing angle. The trifold and detachable design makes you take it anywhere you go. Item Size: Folded, 4" x 2.5" OR 10 cm x 6.5 cm, similar to but smaller than iPhone 5. Easy to grip. Two pieces of mirrors inside. One regular, one maganifier. Made of metal. Hand-painted with superb craftsmanship. Hollow out design. Great choice for compact makeup mirror which fully displays uniqueness and taste. Very elegant beige jewelry box packing, with mirror set in high-quality sponge cushion. Perfect gifts for girls and women.